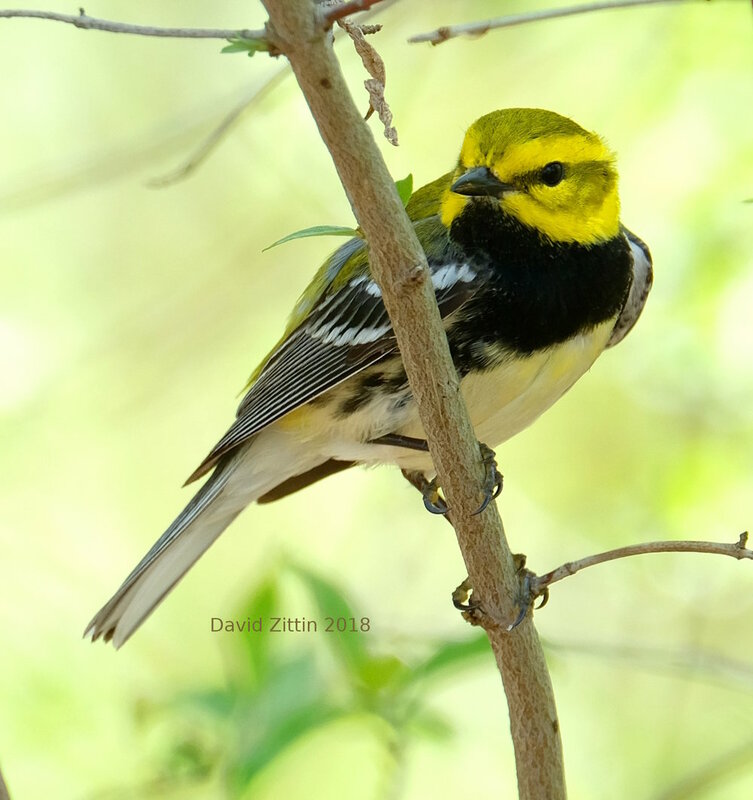 A warbler with a lemon-yellow face that is common in the Northeast United States and Southeast Canada in the northern summer. In the summer it feeds mostly on caterpillars in coniferous and deciduous forests. This species spends the northern winter in tropical America where it eats the buds of the cecropia tree. We have seen this species in Northern Ohio as it makes its way across the lakes to northern forests in Canada. Photo taken at Magee Marsh, 2018. This cute warbler usually inhabits marshy areas, often in and around reeds or other vegetative tangles. This is a photo of a male. The female’s colors are subdued. They skulk around in dense vegetation making them hard to see, but every once in awhile one will appear for a photo. In the spring they can more easily be found by their song which sounds like whichety-whichety-whichety and is quite a racket for a tiny bird. In the northern summer, this species can be found across the entire United States and the southern half of Canada. This perky sparrow has an extensive geographic distribution occurring from Southern Mexico to the southern-most tip of South America. We encountered a small group of them at the entrance to Los Quetzales National Park, Costa Rica which is located near Cerro de la Muerte, the mountain of death, on the Pan American Highway. Once you drive this stretch of road the origin of “mountain of death” becomes apparent. These sparrows were seen around 9,000-10,000 above sea level.. It was a cold, blustery, gray day when I photographed these birds and I wished there was more light to work with, but their beauty stands out even so.